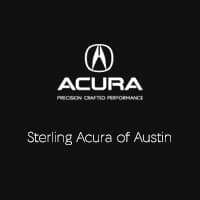 Finding and financing your next vehicle can easily become a stressful experience, but at Sterling Acura of Austin we make sure it isn’t. With the rotating Acura specials at our dealership, you can find that Acura ILX or Acura RDX you’ve been looking for without going over your budget. Should you have any questions or concerns regarding our exclusive offers or new vehicle inventory, don’t hesitate to contact us at your earliest convenience. Find the perfect model for you and your budget? Visit us today in Austin for a test drive. Our experienced and helpful team is always ready to help you through the car-buying process from start to finish. Take the time to apply for financing ahead of time or even estimate your monthly payments with our online auto finance calculator.